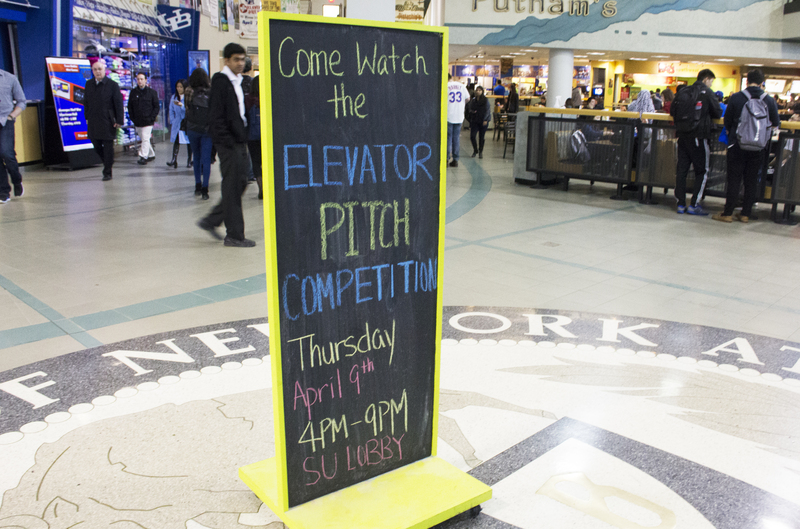 GRoW’s public relations team took up the challenge of the annual UB Elevator Pitch Competition that was held at the Student Union lobby on Thursday evening. Participants of the competition knew very well that the top prize of $1000 was up for grabs, as runners-up and last spot had between $200 till $500 each. All it took and what separated participants from the prizes were a persuasive 90 seconds between them and the judges. The Elevator Pitch Competition finally comes to a successful third consecutive year. Olivia Cham, a senior communications major and a member of the GRoW Public Relations team, boldly took the challenge and did her upmost best in battling against 60 other teams. She may not have won but she made sure her pitch finished right before the time was up. Cham was calm, composed and confident in delivering her 90-second speech about the GRoW Home’s ideas, designs and goals during such very limited time. Although she may not have landed any of the top three positions and won a prize, she managed to offer some valuable insight on GRoW’s bigger aspirations after the Solar Decathlon in October. Olivia Cham attempts to awe the audience and judges with her own GRoW Elevator Pitch. Judges and sponsors collaborate to create the most fairest but compelling elevator pitch. 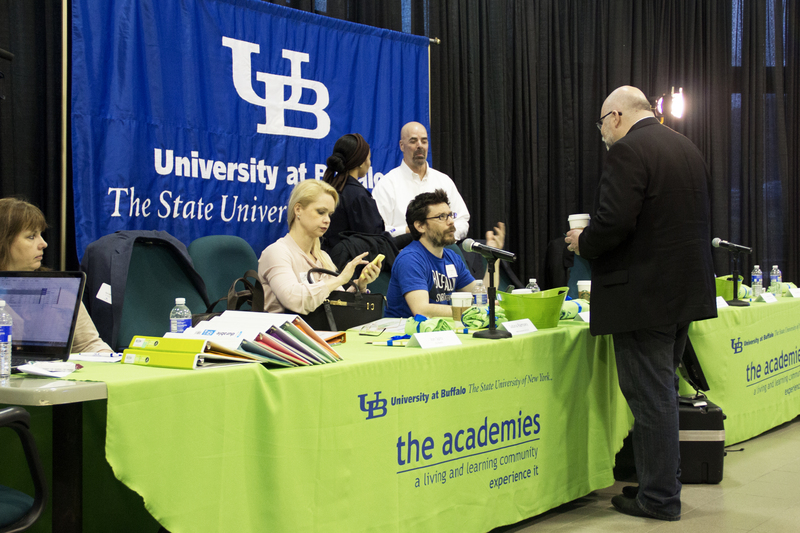 The Elevator Pitch Competition was sponsored by the UB Academies, the School of Management and the Office of Science, Technology Transfer and Economic Outreach (STOR). This entry was posted in On Campus on March 27, 2015 by .